When we purchased our first Kuvasz, Nakita, in 1987 (from Brantwood Perm. Reg’d Kuvaszok Kennels) we would never have imagined how much love and influence this magnificent gentle breed would have on our life. 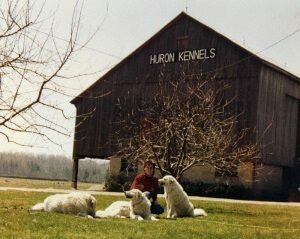 In 1989, my husband and I established Huron Registered Kuvaszok Kennels on 65 acres along the shore of Lake Huron. Today, over 25 years later, our passion and excitement for matching our gentle guardians to loving homes has never been stronger. We are tremendously thankful for the many years of help and guidance that we have received from Brantwood Kennels, and all the dedication they have given to the Kuvasz Club of Canada. We look forward to many more years breeding this unique and exquisite breed, and meeting others who also have a great love for the Kuvaszok. 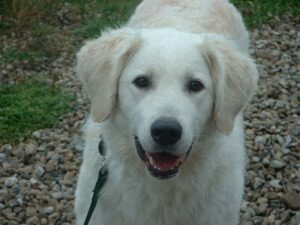 We invite you to view our website, see our amazing dogs, and meet the Kuvasz puppies we currently have available.